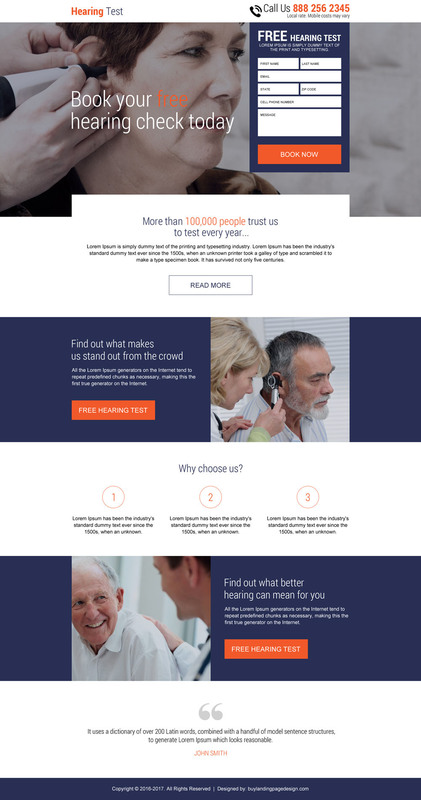 Do you want to update your existing hearing solution landing page with a latest trend and modern landing page design? We have some best hearing solutions lead capturing landing page designs which you can use to capture maximum user attention and convert them into positive prospects. Modern and clean free hearing test appointment booking landing page design with phone number on top of the page followed by an appealing appointment booking form. Strong call to action buttons throughout the landing page directing to the form. Appealing and organized content section to place your information in an appealing and informative way.